This long beaded necklace is a must-have layering piece. 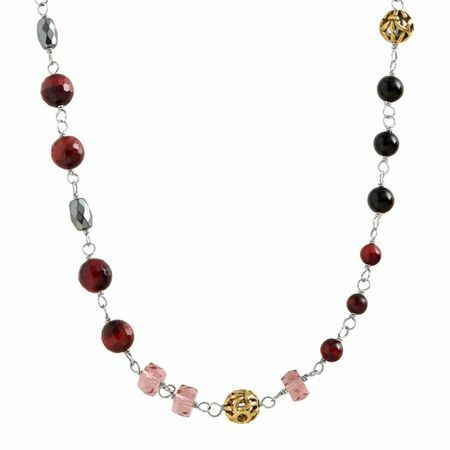 With a mix of red, blush and black beads totaling 92 1/3 ct, the Burgundy Blush Necklace can add a feminine touch to any look. Wear it solo with a long, laid-back dress, or with other strands and your favorite sweater. Necklace measures 32 inches in length and features a lobster clasp. Piece comes with a “.925” sterling silver stamp as a symbol of guaranteed product quality.